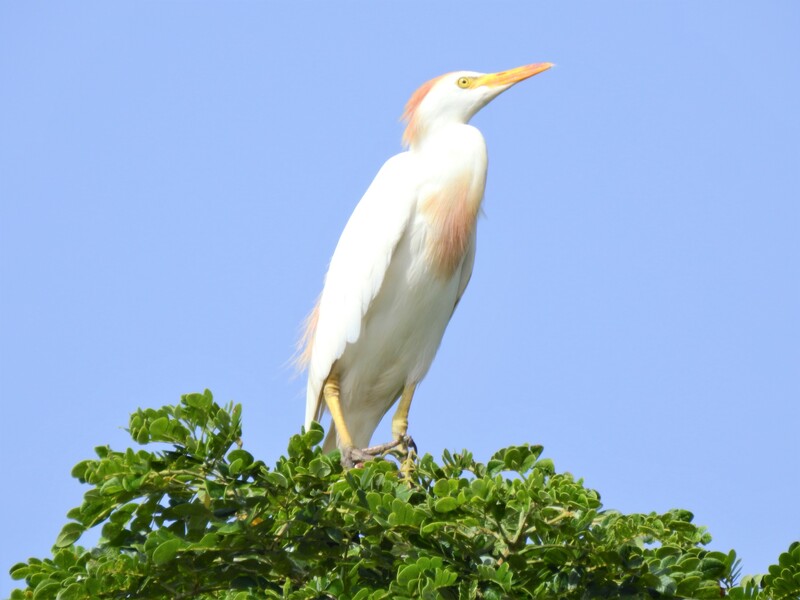 The Cattle Egret (Bubulcus ibis) is a cosmopolitan species of the heron (family Ardeidae) found in the tropics, subtropics and warm temperate zones. 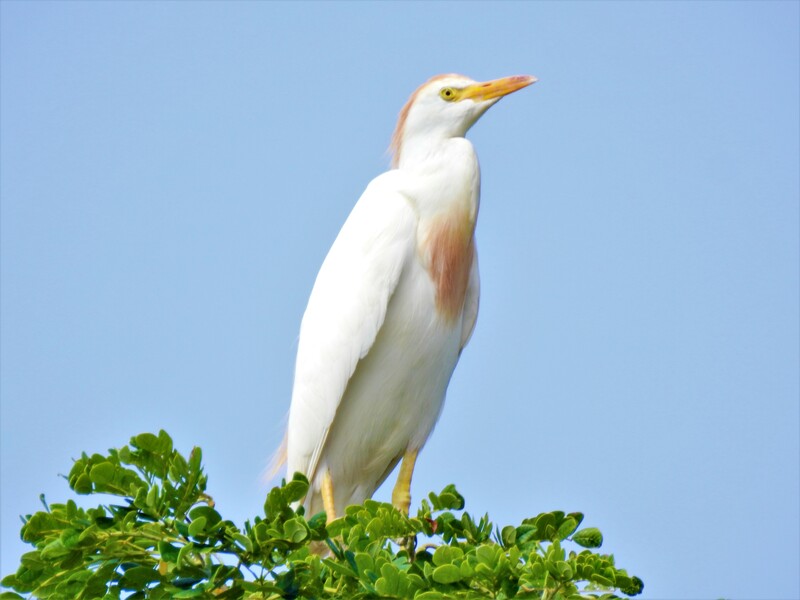 It is the only member of the monotypic genus Bubulcus, although some authorities regard two of its subspecies as full species, the Western Cattle Egret and the Eastern Cattle Egret. Despite the similarities in plumage to the egrets of the genus Egretta, it is more closely related to the herons of Ardea. Cattle Egrets are native to Africa but somehow reached northeastern South America in 1877. They continued to spread, arriving in the United States in 1941 and nesting there by 1953. In the next 50 years, they became one of the most abundant of the North American herons, showing up as far north as Alaska and Newfoundland. 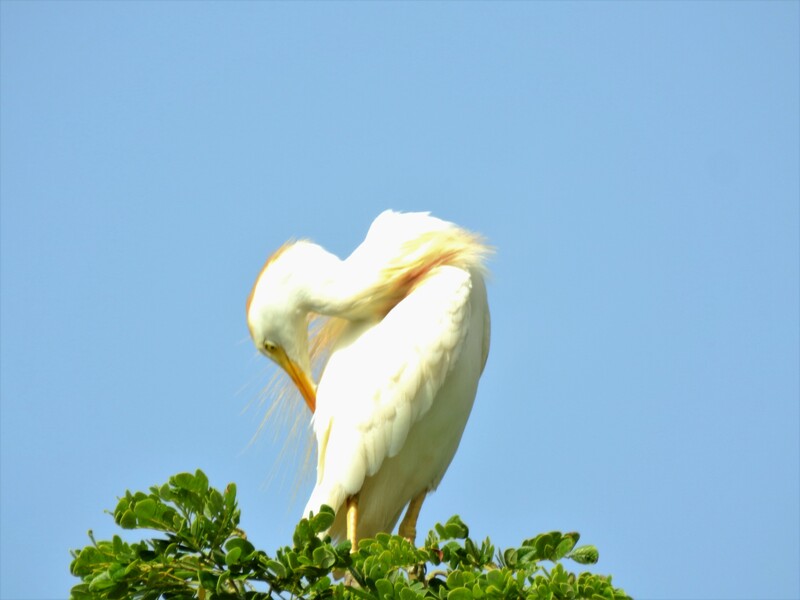 Cattle Egrets have many names around the world, usually referencing the grazing animals they team up with to forage. In various languages, they are known as cow cranes, cow herons, cow birds, elephant birds, rhinoceros egrets, and hippopotamus egrets. 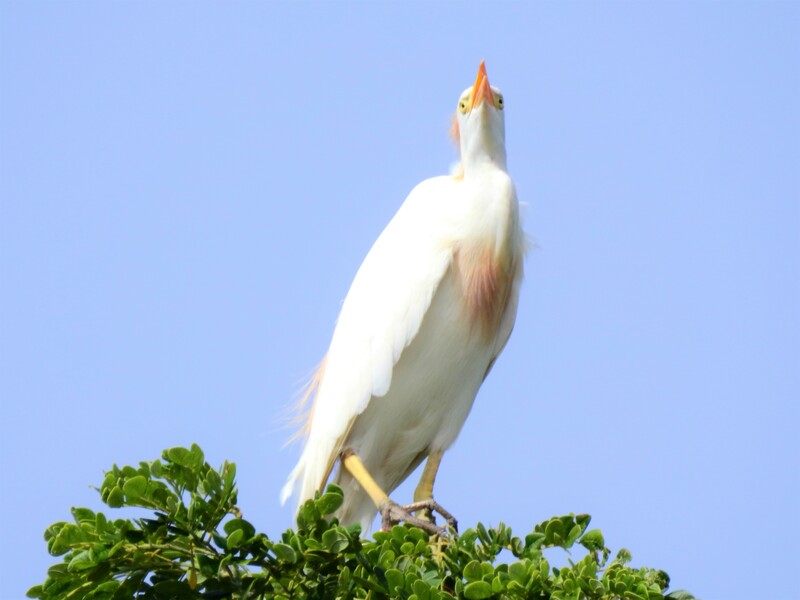 The Cattle Egret has a broad and flexible diet that occasionally includes other birds. In the Dry Tortugas off the coast of Florida, migrating Cattle Egrets have been seen hunting migrating warblers. The oldest Cattle Egret on record was at least 17 years old when it was captured and released in Pennsylvania in 1979. It had been banded in Maryland in 1962.